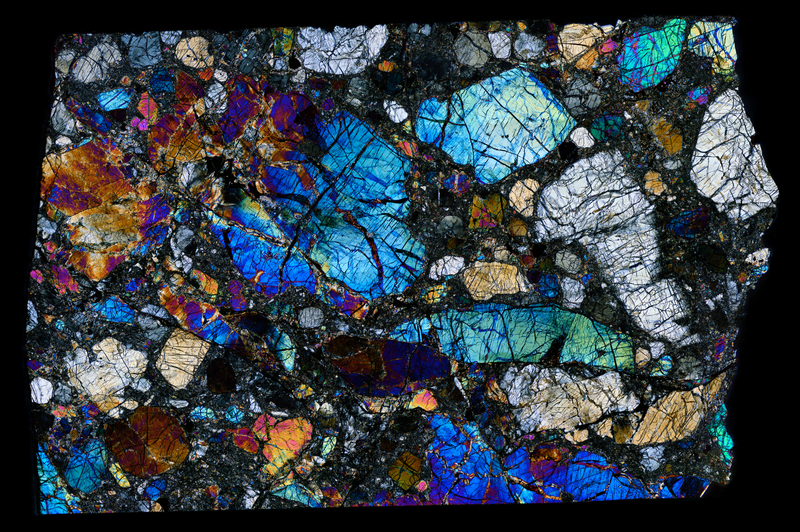 To create a good number of thin section slides of NWA 8159, the original oblong fragment was split into two pieces. 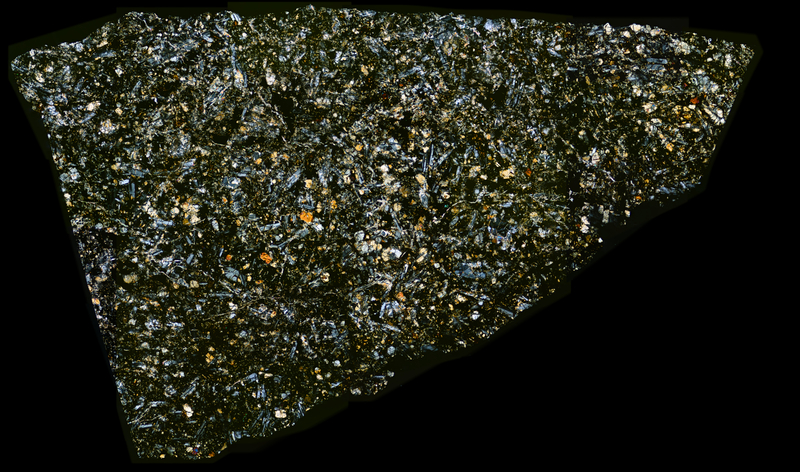 The previous mosaic of NWA 8159 represents one half of this split. 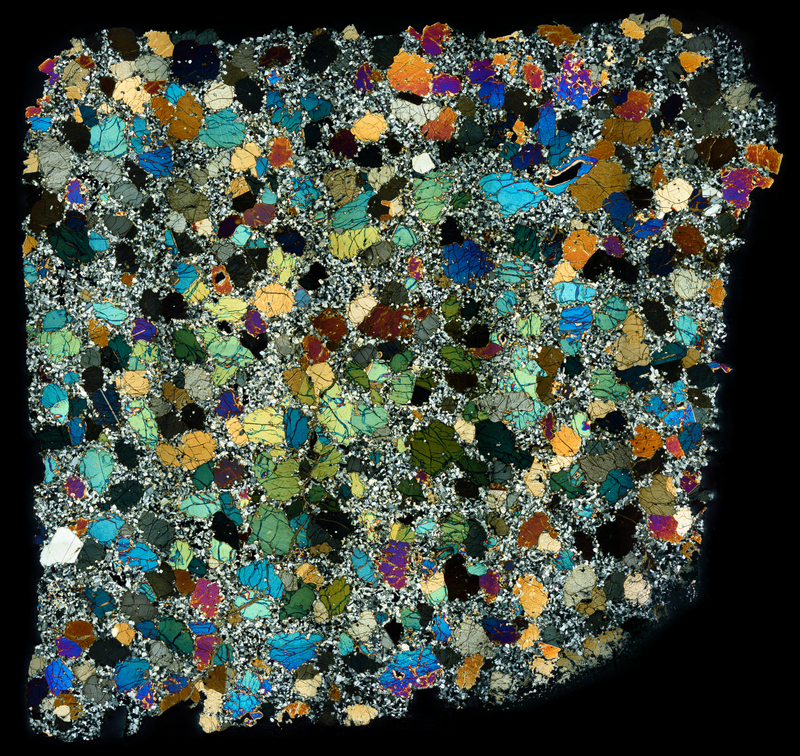 The thin section presented here is the other half.